Stadium Redux is a nice reproduction of the beloved Episode 3 boss fight. It has much of the same gameplay because it is a boss map. It starts off rough, because you only have a pistol. There are however, many weapons strewn about for you to pick up. The map is a little too easy, as health and ammo are plentiful. The map is mostly just an update of the old arena we all know, but it also adds more areas you can choose to explored instead of fighting the good old One Eyed Freak. 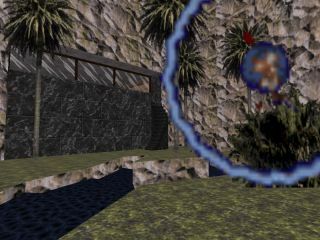 You'll run across various enemies through a largely symmetrical area surrounding the arena. You have your bathrooms, hallways, and reception areas. There are no puzzles, secrets, or keycards to hunt, just baddies to blow away. The map is well designed, and has nice unreachable areas you can see through windows that make the map feel as if it's in a real city. 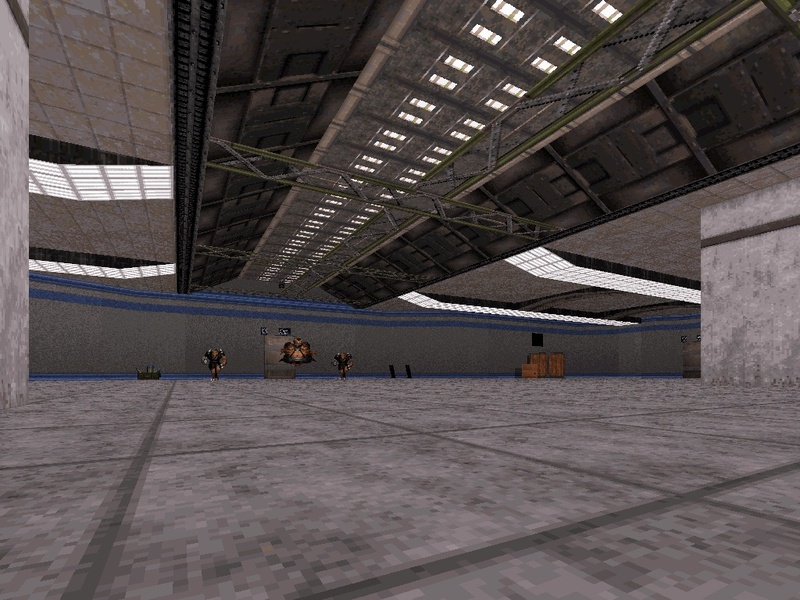 The map suffers from a lack of ambience, except for the occasional Cycloid growl or gunshots it sounds very empty. It's a good play but offers nothing new. The map is also designed for Dukematch, and this is where it really shines. With health, weapons, and inventory items abound there is plenty of action to go around. The main arena could make for some good all out brawls, while the hallways present a good place for those tense firefights. 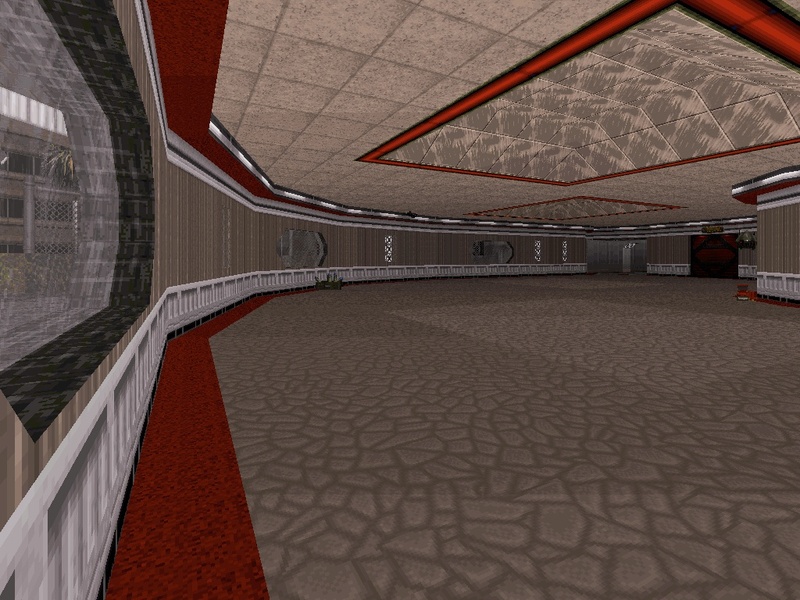 The map also makes good use of dark areas and vents. There are tons of little nooks and crannies to hide in or create traps. The map should be a good play for about 15 to 20 minutes. Note: I played with bots. 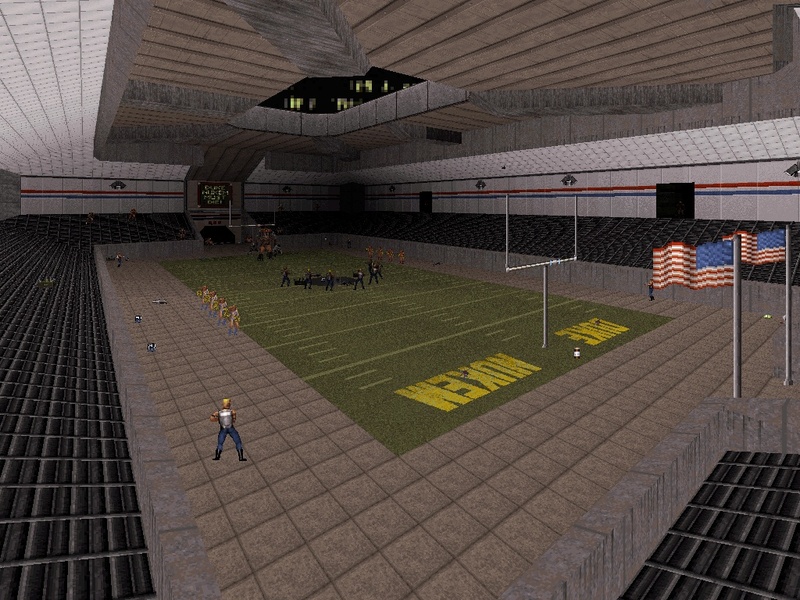 version from Duke Nukem 64.
into the outer areas very much like in DN64. because of the darn sprites behind them. Sorry but I have no idea how to fix that. designed it using Mapster32 and EDuke32. Installation            : Just put the .map file into your EDuke32 folder. Put the .mid file into your EDuke32 folder. levels as long as you contact me FIRST.